It's Facebook Fridays! for July 22, 2016! Time to bring cash into your pockets! 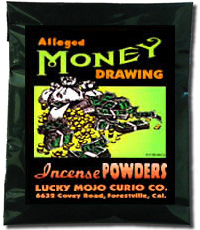 The Lucky Mojo Curio Company is holding a random drawing to give away 5 genuine Money Drawing spiritual supply prizes to bring you riches and abundance. 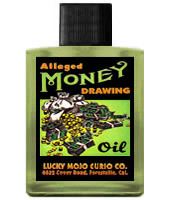 This week's lucky winners will each get a bottle of hand-made Lucky Mojo brand Money Drawing Dressing Oil and a packet of Money Drawing Incense Powders. First thing tomorrow morning, we will select FIVE winners at random, announce their names here, and ask them to message this Facebook Page with their mailing addresses, so we can send them their free Money Drawing products. We have a winner! In fact, we have 5 lucky winners! Our Facebook Fridays! winners for July 22, 2016 are: Lisa Jackson, Breezy McKeithan, Jason Williams, Greg Burger, and Dorene Rukse.